Ten years ago, Helen Hale stood at a crossroads. At 18, the young dancer had been wait-listed by the college she wanted to attend. There was upheaval in her family, with the loss of a family friend and questions around her father’s work. In the midst of it all, she had to decide where she would go and what she would do with the rest of her life. She took a walk one evening while she was there. The late-summer air felt sticky as she followed an old logging trail through a freshly mown field toward a grove of pines. Enormous clouds decked the evening sky as it changed from blue into peach and light orange. She felt an impulse to move and began to dance — grounded and rhythmic, like West African dance. She danced as hard as she could for as long as she could until she collapsed, exhausted, onto the ground. She applied to a new round of colleges and chose Temple University in Philadelphia, with one of the top dance conservatory-style programs in the country. 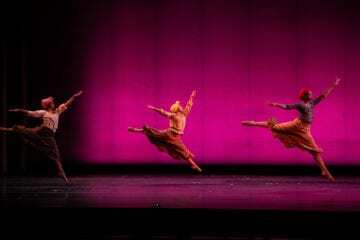 She earned a degree there and is now one of Atlanta’s most promising independent choreographers. 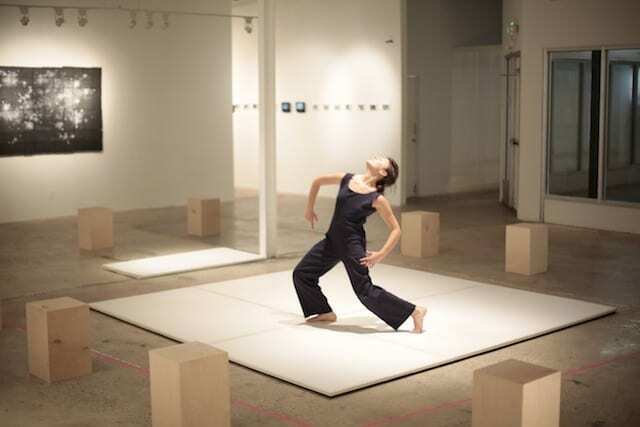 Hale is tackling a new set of concerns in preparation for her first evening-length solo concert, “Sanity Ceremonies.” The self-produced, interdisciplinary work will open November 1 at 7 Stages Theatre and will run for two consecutive weekends. “Sanity Ceremonies” faces issues around Hale’s identification with Greek culture, pain from injury and separation, and the need to find a sense of peace and center, as she orients herself in what is often a chaotic world. She thought about those little rituals we use to move gracefully through a hectic day. Of these modes, she thought, what do we inherit? And as we move forward in life, what do we take with us and what do we leave behind? She is seeking answers in a studio a few blocks east of the Krog Street tunnel, not far from the Grant Park neighborhood where she grew up. Inside, yellow cinder-block walls emanate warmth; several mirrors line one wall. White Christmas lights, strung across the ceiling, create a cheery glow. The wooden floor is strewn with books: a large newsprint artist’s pad that is filled with bits of prose, poetry, sketches and charts; a journal; and an artist’s professional development handbook. Hale’s small build and long, graceful limbs exude an inner strength and outer softness; her eyes yield unusual depth and focus. Curious and articulate, her nimble mind slips easily between the general and specific aspects of any topic. She made “Sanity Ceremonies” a one-woman show out of necessity. For an Atlanta-based artist, it’s essential to tour — to show work to different audiences and see what else is happening in the field. A cast of one fits her travel budget, though it challenges her skills as performer and choreographer. The work’s ingredients promise to be rich and evocative, with film animation by Mike Boutté and a costume by Amanda Baumgardner, a single garment that unfolds into several permutations. Sculptor and furniture maker Elwen Hau has designed a set and props. Santiágo Parámo has arranged a mix of sounds including traditional and contemporary Greek music. Danny Davis is designing lighting. Hale is creating different vocabularies, like different personae, that relate to one another in a variety of ways. There’s her “everything’s right with the world” dance, which is often at odds with her “crazy show-off dance.” There’s a Spartan warrior dance, among others. These elements play in and out of an autobiographical narrative. She is mining personal experience to explore universal themes. These become clear when she dances. Wrapped many times over in a huge swath of fabric, she stands at the rear center of the room, one arm lifted high, the other bent at an angle at her side. Clanging drumbeats are woven into a Mediterranean rhythm that’s deliberate, timeless and multidimensional. With eyes riveted straight ahead, she looks like a goddess or archetypal guide. 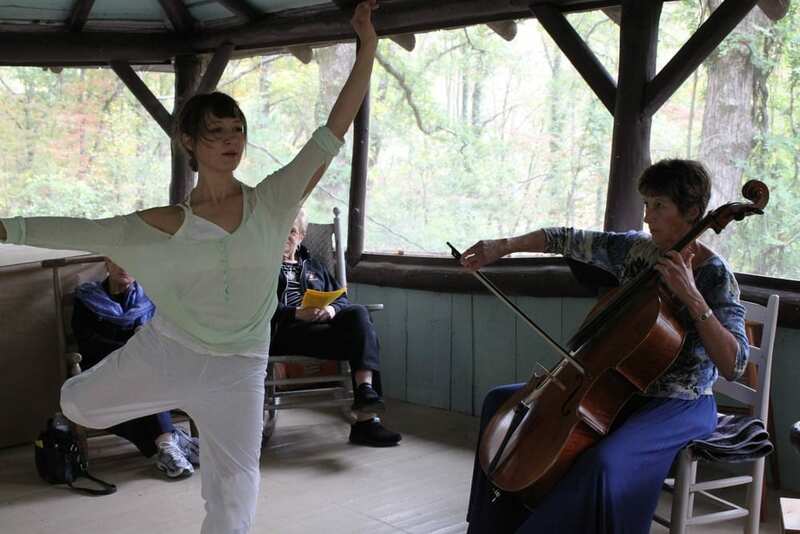 She raises a leg with a percussive stroke, signaling the beginning. She advances and recedes with small steps on the balls of the feet, which then criss-cross, stamping out complex rhythms. This introduction, she explains, will conclude with a tiny animated figure of her great-grandmother, who waves goodbye to a group of people and embarks on a voyage from her native Greece to America. Growing up, she identified with her Greek lineage. She studied traditional Greek dancing, and the family kept its cultural heritage alive through food, family heirlooms and stories of her grandparents and great-grandparents. She also studied classical ballet and modern dance at Callenwolde Fine Arts Center, and she began to choreograph at age eight. 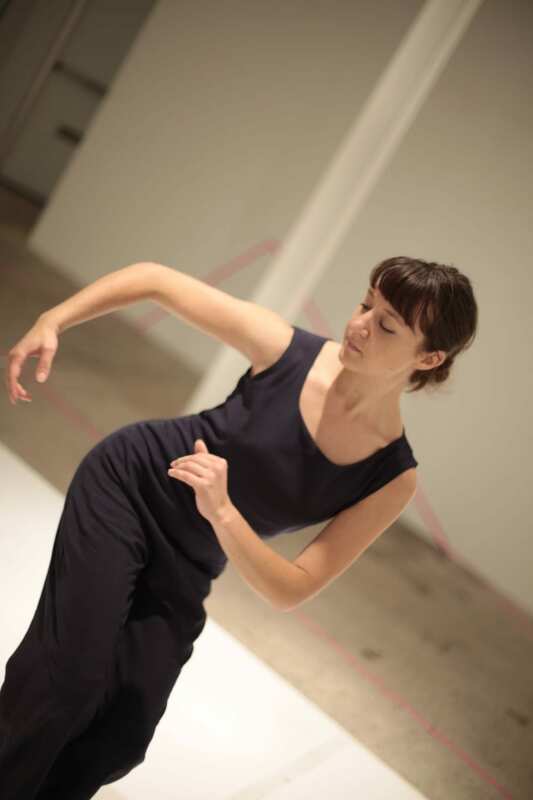 In high school she performed with local modern dance groups, and at age 17, a dance composition course with Donna Faye Burchfield at the American Dance Festival stirred her mind in new and lasting ways. But she continued to yearn for her ancestral homeland. While in college, she found an art school in Massachusetts that offered a study-abroad program on a Greek island in the Aegean Sea. Leaving Greece was difficult. And so was leaving Philadelphia, just two months after she graduated. Hale was plagued with chronic shoulder dislocations throughout college. Just after she performed an apprentice role in her mentor’s company, she suffered a serious shoulder injury that required surgery followed by physical therapy. Her health insurance coverage was through her parents’ policy, so she had to move back to Atlanta. Opportunities in her home city have since unfolded. An internship at WonderRoot connected her with an energetic and nurturing group of people. The owners of Stone Soup Kitchen in Grant Park gave her access to their studio. She has received commissions from the High Museum of Art and Dashboard Co-op and recently received a WonderRoot Walthall Artist Fellowship. While wrestling with the psyche, Hale also faces the day-to-day challenges of self-producing a concert. There’s the endless to-do list, meetings with collaborators, box office, publicity, fund-raising and doing everything from buying fabric to scriptwriting to video shooting to crisis management when things go wrong.